In my last post I discussed the role self-awareness has as it relates to the path we take as either a leader or a follower. 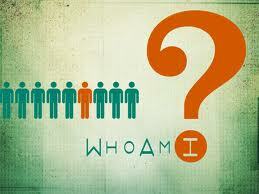 Today I would like to analyze how we begin to recognize who we are. When asked “who are you” or “what do you do”, the typical response may sound something like – a parent, coach/teacher, director/manager or even a leader. Throughout our life we have had opportunities that have allowed us to gain these titles. The big question is – Are these titles truly who I am? This quote really nails it when defining who we are. Having children, you are given the title of father. This title may help mold your identity but will never define who you are as an individual. The defining moment of who you are or even more important, who you want to be, is in the actions you take. These actions/choices shape everything about you and affect those individuals that surround you. These actions can come in the form of values and morals you follow as well as the day to day choices that are made. Now I choose to be a daddy to my little girls. The values that were instilled within me from both my mom and dad helped mold me into the daddy I am today. The actions I take with my girls will affect them as they grow up to hopefully become successful leaders. Let’s look at this concept of self-awareness in the form of an example of an athlete who works hard day in and day out on improving his/her game. Let’s also look at how the choices they make define who they are. Some people may say that this type of person is a leader who leads by example. They would be the athlete who is the first one in and last to leave and who leaves no stone unturned with regards to personal improvement. Sounds great, however, the choice this individual made is not one that would constitute this individual as a leader. The choice that was made was one of selfish intentions, to improve his game and his game only. Was the team ever a thought when it came to the choices made? Why did this athlete not choose to involve other teammates? Wouldn’t the team have benefited more? Is this athlete a selfish athlete? Now I am not saying that you can never train on your own. What I am saying is the choices define who we are. This athlete is not a leader yet often finds themself in the role with a title of leader or captain. A true leader is somebody who is going to help others grow by bringing the best out of them as they strive to reach their potential. As coaches who mold these athletes we must also look at why leadership is often never addressed. The example given earlier was of me as a college athlete. I was a naïve 20 year old who wasn’t that great but loved the game and loved putting the effort in to get better. My coaches never made me aware that my choices define who I am. It wasn’t until I began coaching that I started to evaluate leadership and understand how self-awareness impacts everyone’s choices. I wanted to be a leader and thought that I was doing it right because everyone would always be positive towards seeing me as one who leads by example. Looking back, I was given the title of leader however I never really lead anything. Who did I make better? How did I lead anybody? Was I selfish? Or was I just not aware of who I was? If we want to know who we are, take a look at the choices we make, and not the titles we are given. In my next few posts, I will look to discuss the role knowledge, skills, abilities, interests, and personality have in shaping who we are. I will also be touching on how assessing oneself can help foster leadership growth. Great points Matt. I know their were numerous occasions looking back that I should have attempted to involve more teammates in extra training. Whether shooting on goal with Curt and Poz or taking ground balls with you and Dad, looking back I believe a more positive route could have been contacting others and getting more involved. Growing the hunger in them!!! Hindsight is 20/20.